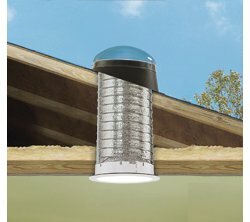 The Ebricks.com Skylights guide offers information about companies such as CBD Glass Studios and Solar Innovations. This well-known manufacturer of skylights was in the 1940s with a mission to bring natural light and air into attic spaces through the roof. Originally designed to convert unused attics into school classrooms, the skylights have been installed in American homes since 1975. Manufacturer of innovative solar tubes for lighting and solar powered ventilation fans. This web-based retailer sells tubular skylights, solar-powered attic fans, plus traditional skylights. Based in Phoenix, the company ships nationally. David Wixon & Associates, Inc. 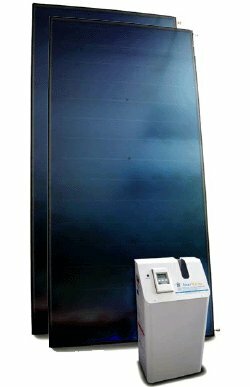 Here's a new-age looking appliance that solves an age-old quest: harnessing the sun's power. The Space-Saver hot water heater can provide 60 to 80 percent of a household's annual hot water needs. The rest is provided by the existing system -- electric, oil, natural gas or propane.